Twinkle is now the WITCHIEST WITCH at witch school but she is still a GREAT ACTRESS! She must persuade her teacher to let her out of school so she can tour her Bottom (she's a SHAKESPEAREAN ACTRESS no less!) by taking three MAGICAL tests. Can she pass them without destroying the school and unleash her Bottom on the world? The third in the spellbinding, spine-tingling school series in which Twinkle Toadspit creates massive magical mayhem! 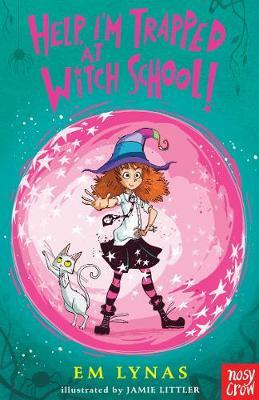 Look out for Twinkle's other adventures: You Can't Make Me Go To Witch School! Get Me Out Of Witch School!